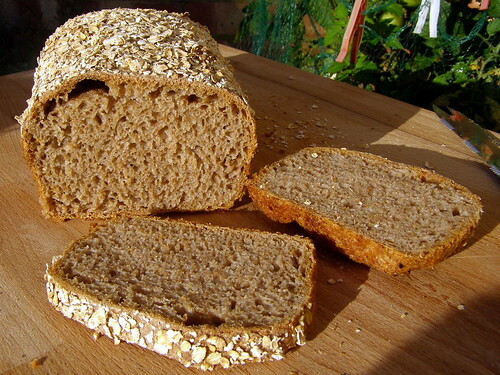 Sourdough bread, about 75% wholemeal wheat flour. Slight 'flying crust', probably due to over-proving. It spent the night in the fridge before baking but left it out a bit long at room temperature before putting it in the fridge (in other words, I forgot about it). The other two loaves were OK.